” Taxpayers had to cough up $1,159,823 in just one month to fly President Obama to New York and Denver to raise money for Democrats and attend an LGBT event, according to documents obtained by a taxpayer watchdog group. Judicial Watch told Secrets that the Air Force just provided expense reports detailing the flight costs of Air Force One to the cities in July. The documents show that president’s July 8-9 fundraising trip to Denver cost the taxpayers $695,894.10. His July 17-18 fundraising trip to New York City cost taxpayers $463,929.40. 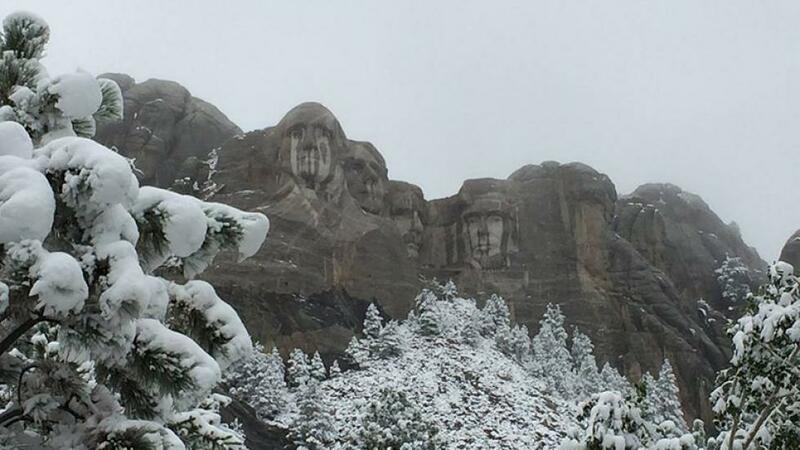 ” The calendar may still say summer, but old man winter barreled his way in to ruin the fun, dumping up to 20 inches of snow across the Rockies and sending temperatures plunging to as low as 10 degrees Fahrenheit in Wyoming, with wind chills — yes, wind chills — in the 20s as far south as Denver, Colorado, on Friday morning. It’s not unusual to see snow in the Rocky Mountains or even in Denver in September, but the strength of this cold air mass, and the snow totals, were both noteworthy. ” Environmental Protection Agency workers have done some odd things recently. ” Colorado’s new gun restrictions went on trial Monday as Second Amendment advocates seek to overturn the laws on grounds that they violate constitutional rights to keep and bear arms. ” Dramatic video shows a SWAT team taking down a man who used a woman as a human shield. Here is some raw , unedited footage of the hostage rescue . ” Wind gusts caused four hot air balloons to crash in the Denver area Saturday, injuring at least five people. The unrelated accidents all happened within miles and about an hour of one another, Fox News reported. ” One person was taken to a local hospital with minor injuries following a crash of a hot-air balloon in Arvada Saturday morning and another hot-air balloon crash was reported in Boulder County, authorities say. The Arvada crash victim was treated at a local hospital and released. The person’s name has not been released. The balloon struck a power line and then crashed onto Highway 72 about a quarter mile East of Highway 93, said Scott Pribble, Arvada fire spokesman. The balloon dragged on the highway for about 100 yards before it stopped, Pribble said. Three people were in the balloon when the accident happened, Pribble said. The other two people were not hurt. He added that there was a small weed fire near the balloon accident, but it was not caused by the balloon crash and was quickly extinguished. Highway 72 is closed for an investigation of the crash. Pribble said he does not know who owned the balloon or whether strong winds this morning contributed to the crash. A second crash happened in Boulder County in which firefighters and deputies responded. Little information about this crash early Saturday morning is available. Boulder County dispatchers say more details will be available Saturday afternoon. A deputy from the Jefferson County Sheriff’s Office responded to a hard landing of another hot-air balloon at Rocky Flats, said Jacki Kelley, sheriff’s spokeswoman. Neither of the two people who were in the basket were injured, she said. ” Two people were shot in the leg at Denver’s Civic Center during Saturday’s 4/20 pot rally and a third person was grazed by a bullet. ” The furor over the signing into law of Senate Bill 13-013 earlier this week by Colorado Governor John Hickenlooper went viral following the publishing ofan article by Mike Opelka at theblaze.com. Opelka suggested that the new law could be “used to arrest or force county sheriffs to enforce the state’s new gun laws,” whether they wanted to or not. I believe it is intended to be used for setting up a framework so that at some other time they could expand it to possibly include being able to arrest a sheriff who is refusing to enforce unconstitutional laws. ” Protesters from across the state of Colorado scaled the steps up to the capitol building in Denver, rallying against the proposed gun control measures legislators will be voting on later this year. It was called the Denver Day of Resistance. At least 400 people made it to the rally (protest organizers told us 500), and passers-by showed their support by honking regularly as they drove past the crowd. “Magpul has made it more than just talk. If the Colorado legislature passes the mag ban law, they will be moving. Going with them will be one of their major subcontractors Alfred Manufacturing. They made the official announcement a couple of hours ago on Facebook. 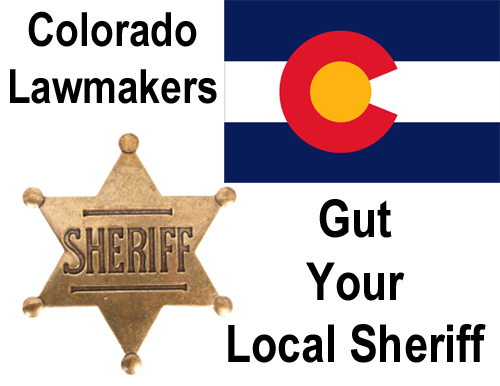 Denver, Colorado – February 15th, 2013 – Magpul Industries, an Erie, Colorado, based manufacturer of firearms accessories, announced today that it will be forced to leave the state if House Bill 1224, which would ban standard capacity magazines, becomes law. ” The first of four Democratic gun proposals to be heard Friday, a ban on high-capacity magazines, cleared the statehouse on an initial voice vote around 3 p.m. after a six-hour debate. “Over the course of the last four or five years, we’ve had 34 mass shootings using high capacity magazines,” said Rep. Rhonda Fields, D-Aurora, whose district includes the Century 16 theater where 12 people were killed in a mass shooting last July. Murder – Suicide In Denver ? ” DENVER — Two children under 10 years old and a woman were killed, and a third child was wounded at a house in northeast Denver, police said Wednesday. That child was in critical condition at Denver Health Medical Center. Officers were called to the home about 6:55 a.m. for reports of a shooting, denverpost.com reported. Police said they were seeking a warrant to further search the property. Lt. Matt Murray, a police spokesman, said no arrests have been made. He said detectives were not searching for a person of interest, but would not elaborate, according to denverpost.com. The other photos are even more impressive , check them out . When President Barack Obama stepped off the stage in Denver last week the 60 million Americans watching the debate against Mitt Romney already knew it had been a disaster for him. ” Andy’s latest rant is sure to raise a smile. The great irony is that he identifies the problem with laser precision but is clueless as to the cause. “Wednesday night’s presidential debate in which Mitt Romney shellacked Barack Obama attracted the biggest audience since the debate between Jimmy Carter and Ronald Reagan seven days before the 1980 election..
About 70 million Americans watched, a little more than half the 131 million voter turnout in 2008. That’s an estimate, because the ratings companies don’t count those watching on C-SPAN, PBS or the Internet. Did the debates matter? The first state polls, conducted by Rasmussen and We Ask America on Thursday night, suggest the answer is yes. Rasmussen reported that Romney was down 1 point in Ohio. We Ask America had him up 1 there. Rasmussen had Romney up 1 in Virginia. We Ask America had him up 3. And in Florida, We Ask America had Romney up 3. 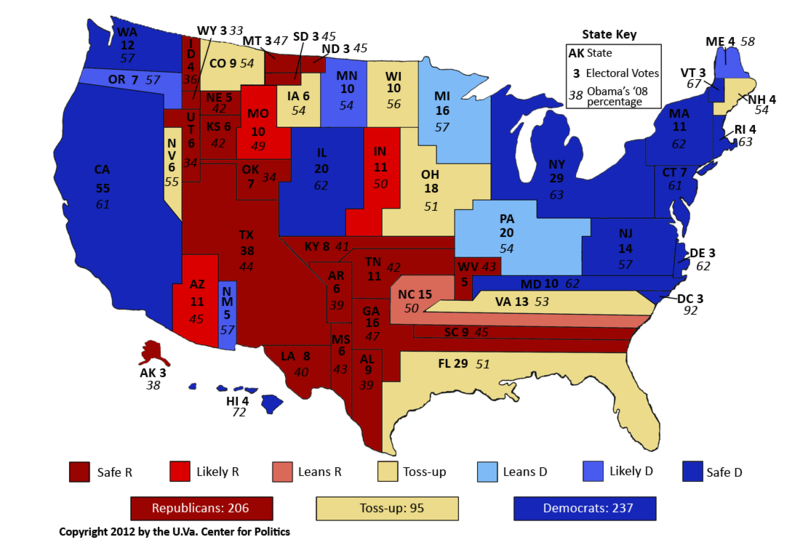 These states are important because the Obama campaign has spent millions on anti-Romney ads there, to build a fire wall blocking Romney from getting to a 270-vote majority in the Electoral College. Mr. President …don’t quote us. “What happened last night was predictable. Mitt Romney was well prepared and, without being uncivil, he went on the attack. Occasionally, policy wonk that he is, he got lost in the weeds. But for the most part he laid out broad themes, and it was easy to foresee what he would say. It was easy because Barack Obama is a sitting duck. His is a failed Presidency — and everyone who has been paying attention who is not blinded by partisan passion knows it.